StP Va300 Plouharnel M.K.B.Hella E.673, K.V.G. Vannes, Brittany. 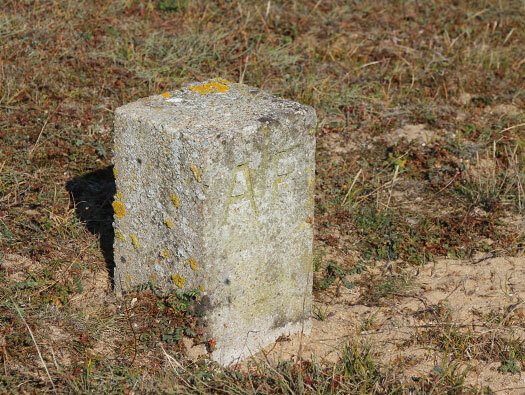 1 x S487 Fire control post. 4 x SK/Gefechsstand, Geschützstellung. 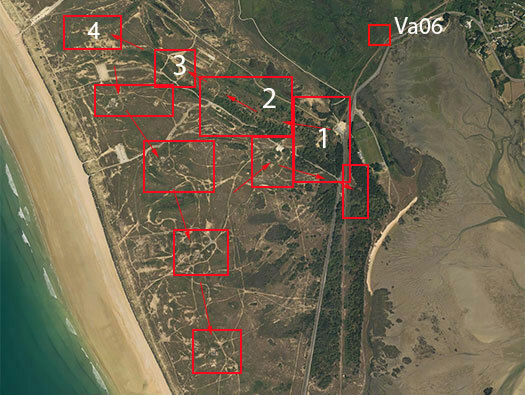 S215 large open emplacements with two ammunition stores. 1 x V229 radar socket for a Würzburg-Riese. 1 x R118b large dressing station (hospital). 3 x Fl242 standard emplacement for medium/light Flak. 2 x S231 ammunition depot. 2 x S381 ammunition depot. 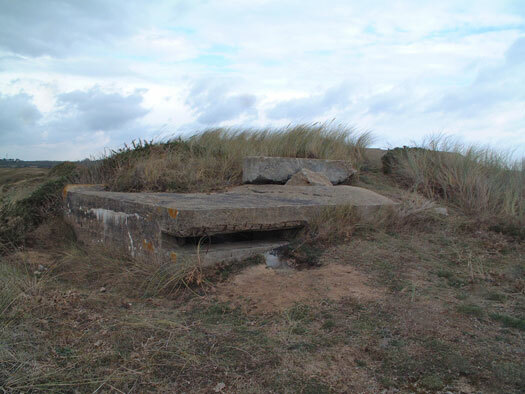 4 x SK/Machinenstand (generator bunkers). 12 x SK/Marine (36 Mann bunker). 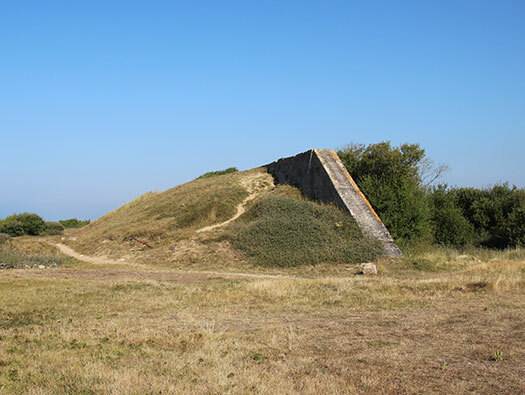 1 x Geschützstellung Lag, casemate for field gun. 3 x 34cm K.W.E. 674(f) railway guns. (340mm St-Chamond). 3 x 2cm Flak 28. 1 x 15mm Flak MG.151 Zw. 4 x 2cm Flak Vierl 38. 8 x 7.5cm Flak M17/34(f). Plan of a breach block of a 30cm gun. 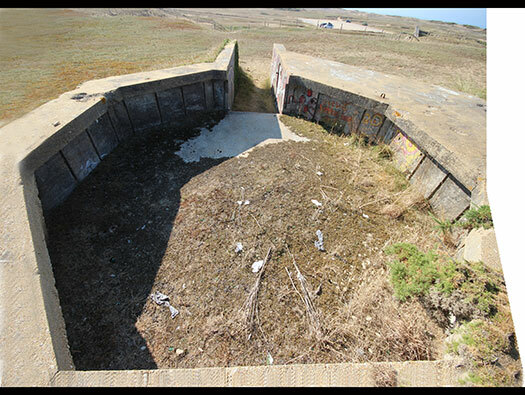 Square 4 showing where the Flak Nord defence was situated in large open emplacements with crew and ammunition below. 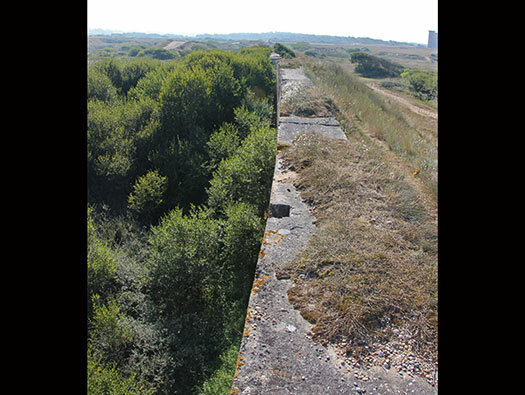 There is also a large concrete wall, either a sand wall (I will explain later) or an artillery butts to fire into??. Lorient harbour was chosen by the Kriegsmarine as a large U-Boat base very early on after the area was captured in 1940. Work started on the pens and also a scheme to defend the pens from attack by an allied fleet. 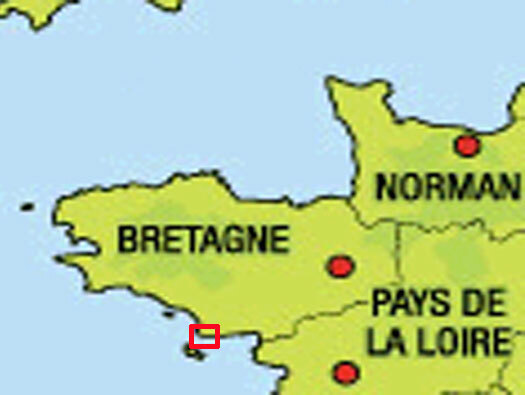 Large guns were placed on the Île de Groix and the Quiberon peninsular with smaller batteries laid out closer inland. These batteries were owned and run by he Kriegsmarine, the German Navy. Quiberon they decided was ideal for railway guns, super heavy weapons that could be moved around on large carriages. 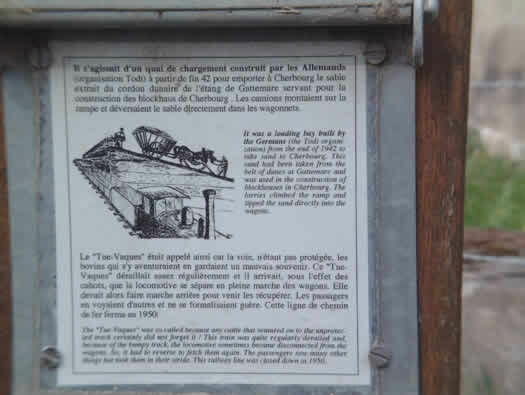 Four guns were procured, captured French 34cm guns and the German Navy had them placed on railway mountings. 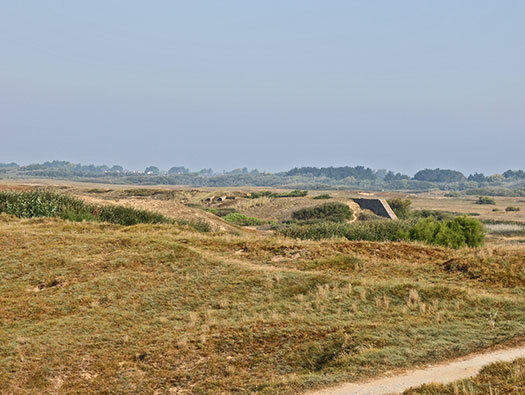 Quiberon has excellent railway links with the mainland and ultimately Germany and the site was cleared and four Bh 47 a M type emplacements (Geschützstellung) were built. Slightly redesigned from the original Bh 47 a M type with each having a direct railway siding to each position coming off the main line. 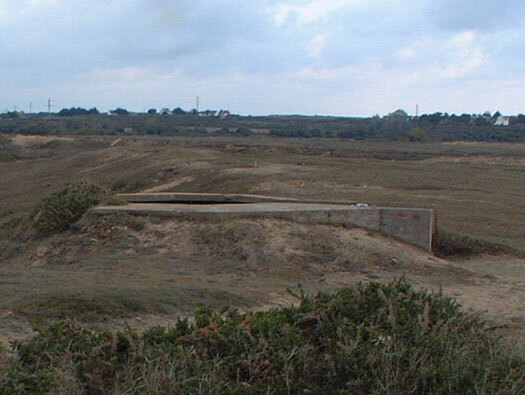 Heavy batterie positions around Lorient U-boat pens. 34cm Mle 1912 L47 French railway gun. The German military map of the area. Area 4. 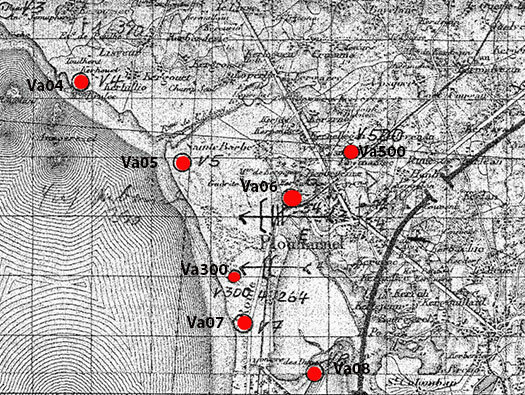 This is the area of ‘Flak Nord’ I have numbered the positions to make it easier. 1 - Searchlight (destroyed post war). 3 - Fl242 Flak emplacement. 5 - OB Flak (destroyed). 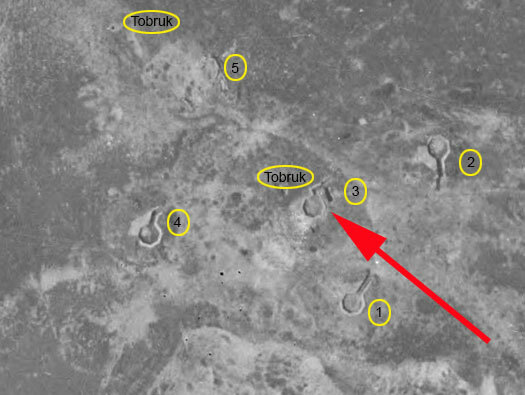 2 x Tobruk´s one an observation type. I presume a sand loading wall. These were to allow sand to be removed from the beach and loaded onto trains to build defences and here maybe the Lorient U-Boat pens. Sand wall loading bay at Gatteville. 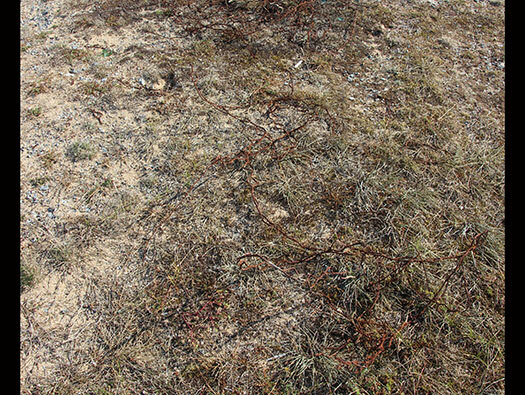 Barbed wire on the grass, part of the wired defence and mine fields. Plan of the Flak Nord site. 1. was destroyed post war due either to artillery or bombing practice. 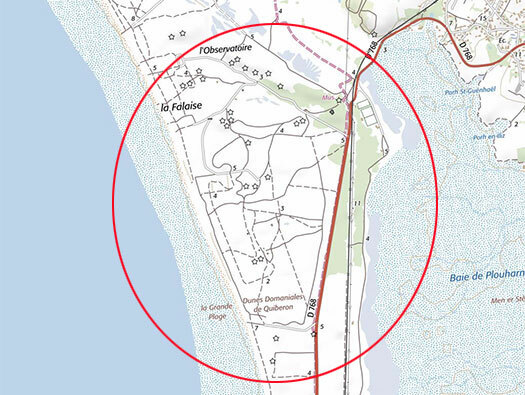 The site may have been used as a training target. Fl424 Medium and Light Flak emplacement. 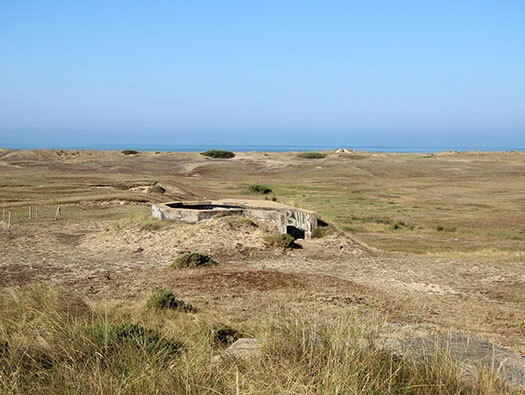 The first emplacement I believe is a searchlight position. The sort of searchlight that may have been here 150mm. 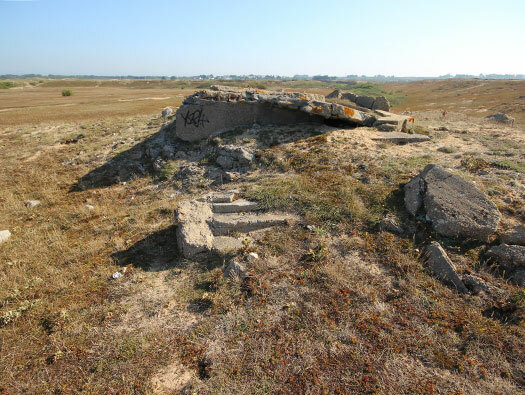 Flak emplacement for a French 7.5cm Flak gun. 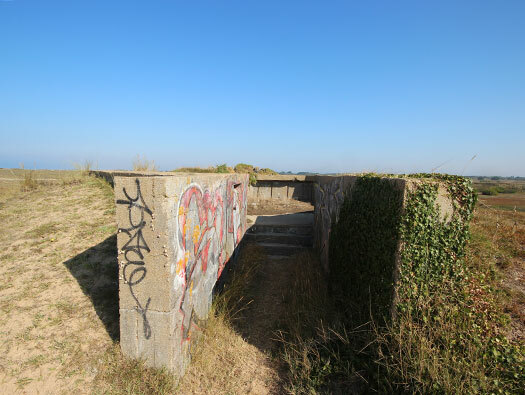 The narrow entrance into the emplacement. Note the hinge pin and the slight recess for a wooed door to close off the entrance. Floor of the Flak emplacement, no ready ammunition spaces around the gun, that is unusual in a Flak emplacement. The view from above. No ready ammunition, no communications cable inlets?? more questions than answers. Fl242 emplacement for medium and light Flak. 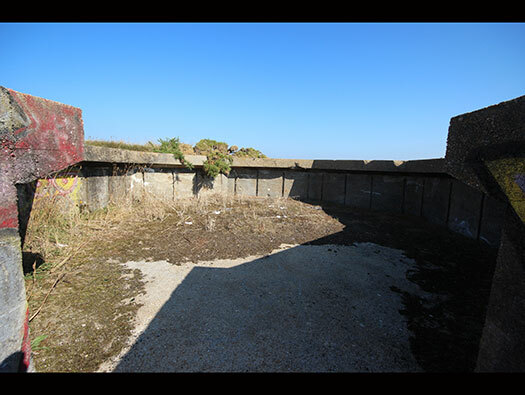 This is a proper Flak emplacement with ready ammunition spaces that can be seen around the outside wall and the larger square a crew communications space where communications cables would come in from a command post and relay height, wind, aircraft speed, etc. Fl242 plan, underneath is a two roomed bunker with an entrance and gas lock, a crew room and an ammunition room. 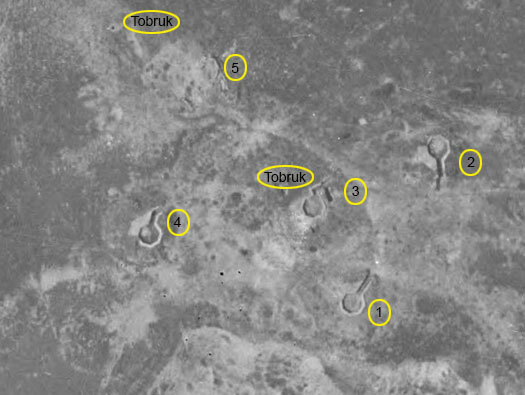 Vf58c there are at least ten Tobruk's on the whole site and two here. Vf58c Tobruk crew room space. 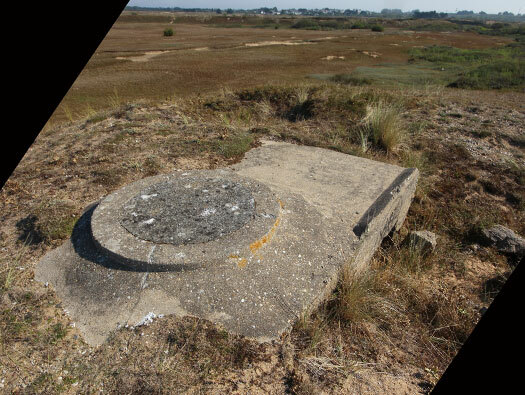 Another Flak emplacement like No2 for a 7.5cm Flak M17/34(f).. It looks as though extra concrete has been added to protect the seaward side of the emplacement. .
Plan of an S487 Fire Control Post. There is another cutaway for a door to be fitted and the hinge is still in place. This one was damaged either in the war or before 1950's when the first was destroyed. Hold fast for the anti-aircraft gun. Marine looking at a map. This one is modified so that it can be used as an observation post whilst the second crew man can fire his machine gun. 1 x 5cm KwK L/60. Va05 is the blue square on the plan. Green is the Flack site. 5cm KwK L/60 inside an R667 casemate.